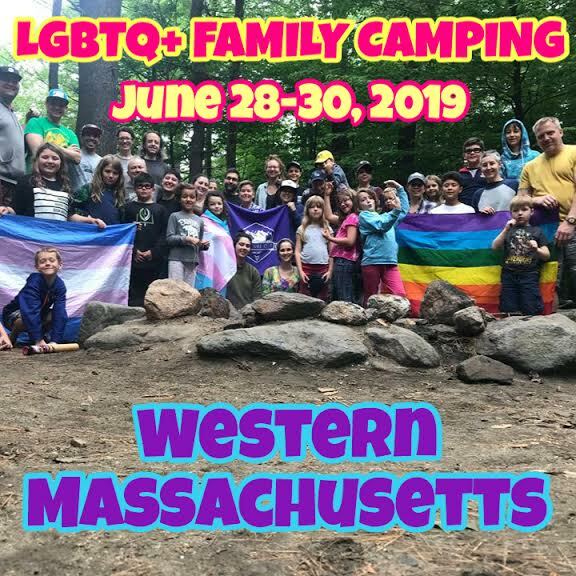 Our LGBTQ+ Family Campout is a great way to meet other families like yours, make friends, share stories, and have some good old fashioned fun! We define an LGBTQ+ Family as a family where any member of the family (adult or child) identifies as lesbian, gay, bi-sexual, pansexual, trans, non-binary, gender non-conforming, or more. This weekend is for any and all members of your family - kids, parents, grandparents, care-givers. This will be a weekend of fun, swimming, hiking, endless play, grilling, connecting to other families, sleeping under the stars, s'mores, and so much more! We define an LGBTQ Family as a family where any member of the family (adult or child) identifies as lesbian, gay, bi-sexual, pansexual, trans, non-binary, gender non-conforming, or more. This weekend is for any and all members of your family - kids, parents, grandparents, care-givers.